This perfect blend captures all of your senses in a moment of complete pleasure. A great, well rounded body and rich aromas produce an exceptionally full flavoured coffee. 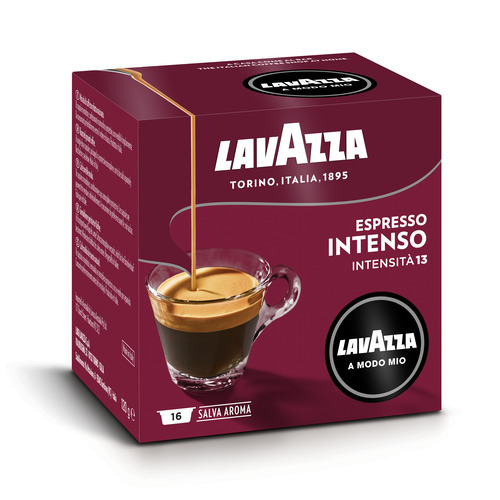 A smooth blend with all the intensity of an Italian caf‚ experience. Coffees originating from South East Asia, with a rich flavour and notes of spices, are expertly blended with full-bodied Arabica from Brazil and the smooth coffees of India's highlands. The result is an outstanding espresso with a persistent aftertaste, full body and rich, spicy aromas. The authentic intense Italian espresso. Davide Oldani, the "pop democrat" of Italian cuisine, interprets the Intensamente blend. "An espresso that lingers, awakening emotions from the first sip to the last, something unforgettable." Castagnaccio (chestnut cake) from Tuscany is typified by its rosemary scented soft dough and the resinous texture of the pine nuts. The castagnaccio is ideal to set off the spicy notes of Intensamente.